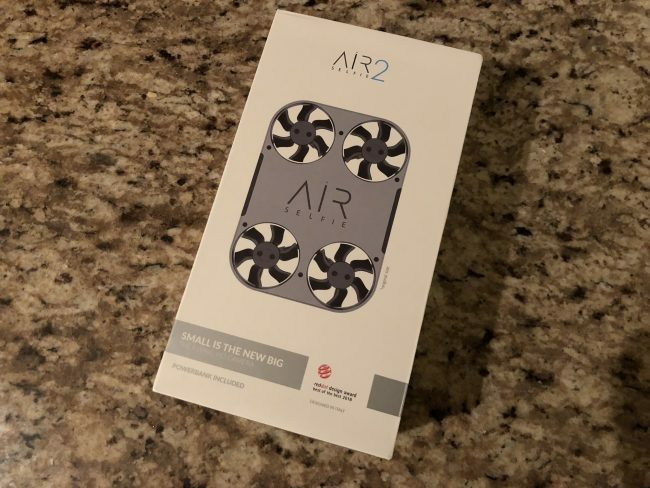 In its second generation, the AirSelfie2 has improved on a lot of the things people wanted from the first unit we saw displayed at the Consumer Electronics Show, but one thing is worth asking: Do you need it, and why? The AirSelfie2 has come in handy for me the past two months in situations such as a group selfie photo at a wedding, and even more, just showing off a new gadget that none of my friends could ever imagine. 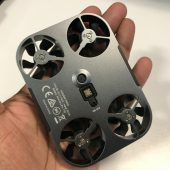 Essentially a camera drone, the AirSelfie2 features a 12-megapixel camera that not only takes great photos but is actually pretty effective in situations where that annoying selfie stick couldn’t possibly help out. 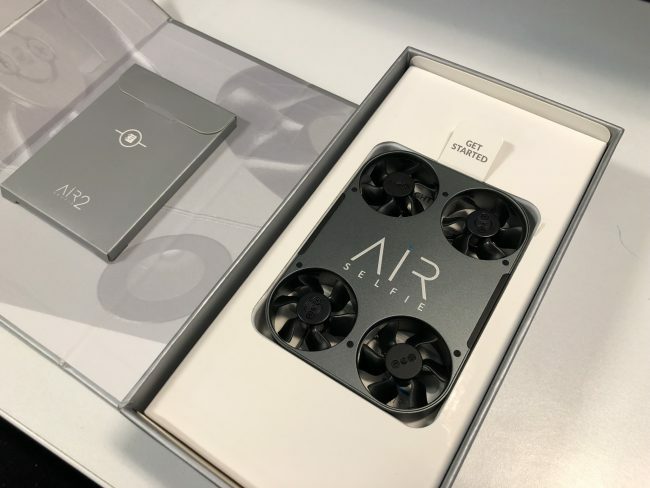 After unboxing, what you get is the AirSelfie2, a charging dock that not only houses the AirSelfie2 drone but charges it without being connected to a power outlet. 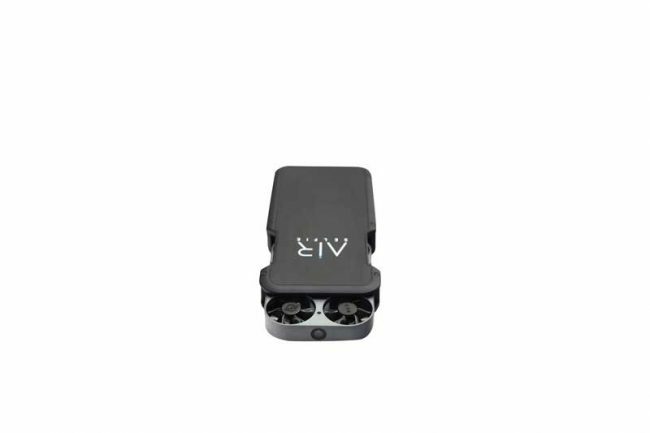 You also receive the micro-USB cable to charge the charging dock when the dock itself is completely out of juice. Setup of the AirSelfie2 is effortless, courtesy of the companion app that is available for iOS and Android. You take all of the photos from within the AirSelfie app, which is frequently updated with firmware updates for things such as calibrating the AirSelfie2, picking the speed of the photos you take, and if there’s a delay of the photo shot. This is helpful for that family photo where you may need 3-4 shots because someone accidentally closed their eyes in the middle of the shot, or for you to hide the phone in your pocket so you aren’t holding the phone mid-photo. There are three modes to the AirSelfie app when taking photos: Easy, Medium, or Expert Mode, but truth be told, I stuck with Easy mode because even though the process of using the AirSelfie seems easy, it does have a bit of a learning curve to it. 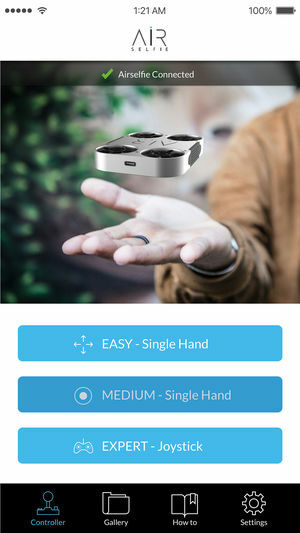 To start up, you place the AirSelfie2 in the palm of your hand (typically the hand you DON’T write with so you can fully control the app with a stable hand). AirSelfie says that when you do have the drone flying, you can actually be up to 70 feet away from the drone to take a photo, but I haven’t had the ability to test that functionality as of yet. 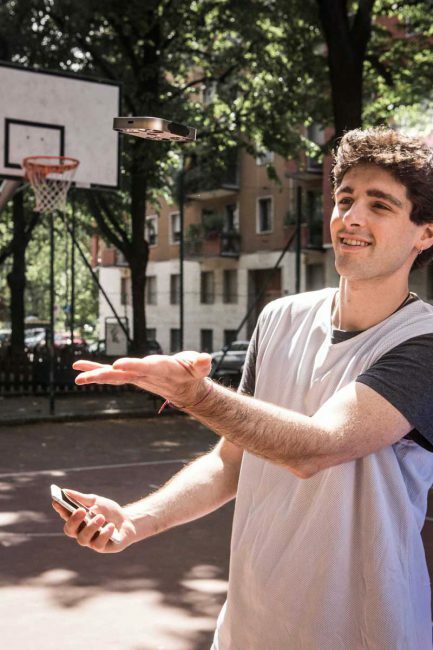 The premise, however, is pretty simple: The AirSelfie2 can stay up in the air for up to five minutes with a full charge. This is what I was told, however, I’ve had varying experiences. Between opening the app, and navigating it, the more time you spend attempting to get the right high on your AirSelfie2, the faster that the battery drains. I set up using my homes Wi-Fi connection, which typically has 10/20 devices connecting at any given moment so Wi-Fi interference could be a reasoning as to draining battery and connectivity, but once the AirSelfie2 is actually “In flight”, I will say the photos are pretty impressive. Since everything is done in-house on the AirSelfie2, the 16GB onboard storage is more than enough for the five minutes of flight time you’ll actually receive. Everything gets stored in the AirSelfie app which you can then move to your camera roll through exporting and sharing to your favorite third-parties like Facebook or Instagram. 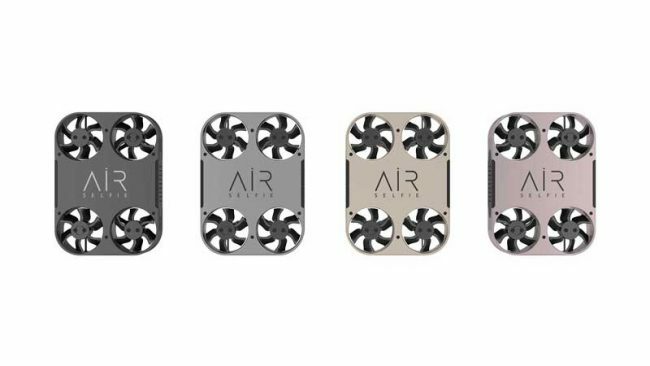 The premise of the AirSelfie2 is pretty nice, and I have high hopes and expectations for it, but to be completely truthful, it has a way to go. The overall design is better than MANY on the market, and the app is updated enough to counter any bugs that may come against it. The issue with the AirSelfie2 is actually getting it to take off. Multiple times I’ve attempted to get the drone to take flight, only for it to spaz out and go into a direction I did not designate within the app before it crashed to the ground. 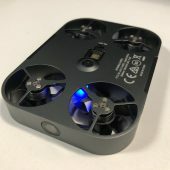 Now the build of the AirSelfie2 has held up for the past 60 days, but over time I can see the average user (especially if you’re outdoors), replacing the blades, or the drone itself pretty often. 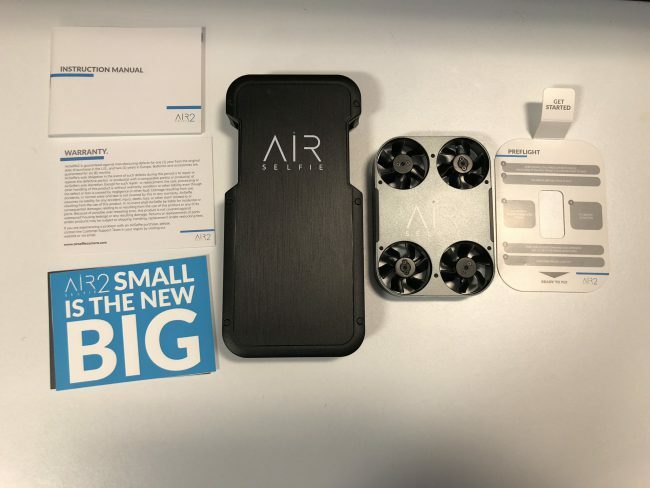 If you are willing to take the trade-offs, the AirSelfie2 is worth having and is a great way to get everyone in the shot, and a new innovative way of showing off. Throw that selfie stick in the trash, you won’t be needing it. 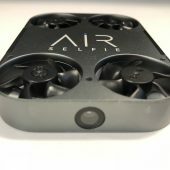 For more information on the AirSelfie2, you can head over to their site.